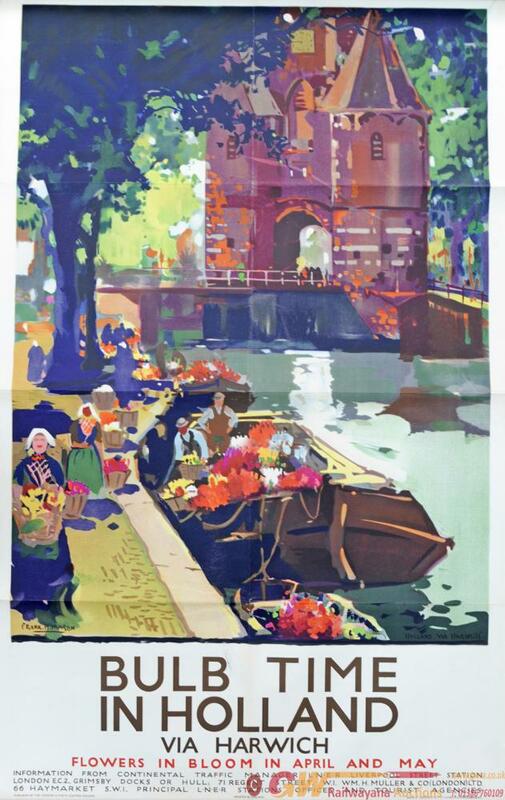 LNER Poster, Bulb Time in Holland via Harwich - Flowers in Bloom in April and May by Frank Mason, D/R size. Interesting scene with traditional Dutch girl selling tulips alongside a river barge laden with flowers. Published by London & North Eastern Railway, printed by Jordison & Co. Excellent condition with folds.